ReconCraft is proud to announce a partnership with Ocean Rodeo, a designer and manufacturer of high performance drysuits ideally suited for military, law enforcement, and professional use. As former military and law enforcement vessel operators, the Ocean Rodeo suits are the most comfortable, agile, and well-designed suits we’ve ever worn. 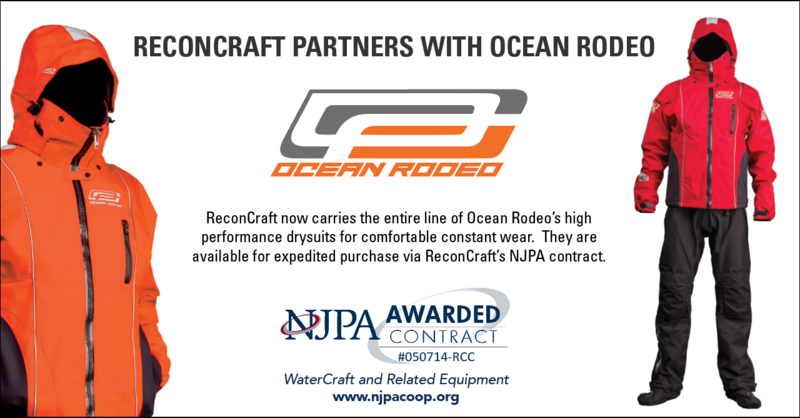 The entire line of Ocean Rodeo drysuits is now available via ReconCraft’s National Joint Powers Alliance (NJPA) contract 050714-RCC.